We can handle any size haul off job from a single load to the 800 loads of concrete from the 440 east planned closures. We have tri axle trucks, 100 yard walking floors, and semi dump trailers to accommodate any spoil material from stumps, green waste, or oversized concrete. We price jobs by the load and do not have trucking minimums. Please call for pricing and availability. 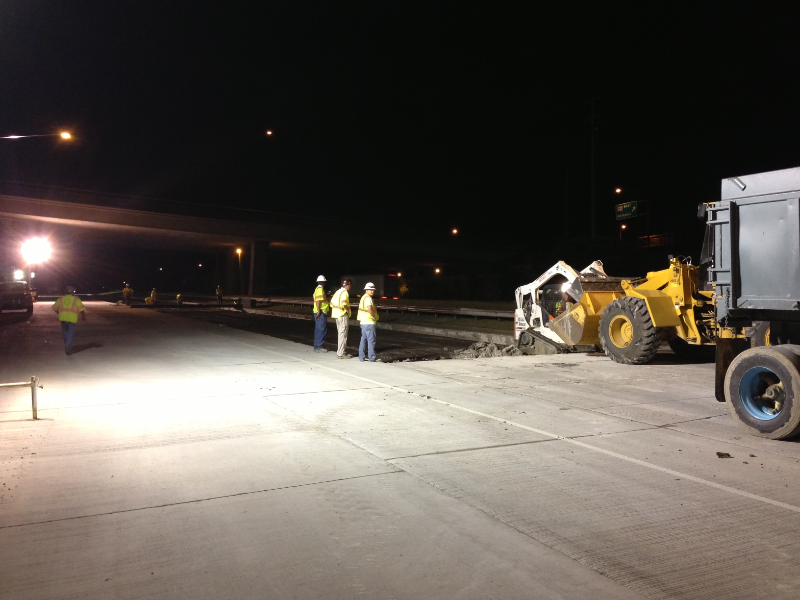 I-440 eastbound between I-24 and I-65 will be closed again this weekend for concrete repairs. The interstate will be closed Friday beginning at 8 p.m. and will reopen by 5 a.m. on Monday. This is the fifth of 10 scheduled weekend closings. The repairs are part of a $9.7-million project to widen this stretch of I-440 eastbound. A total of 10 weekend closures will allow the concrete work to be completed on an accelerated schedule. Otherwise, repairs would require lane closures over a period of several months. During the weekend closures, crews will jackhammer and remove large sections of deteriorating concrete as much as a foot deep. Once the new concrete is poured, it will have to harden for several hours. The travel lanes will then be re-striped before reopening to traffic.